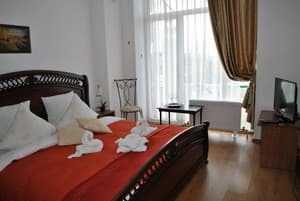 "SPA & Dr. Zakharov's Residence" is a 3-star hotel in the historical center of Feodosia, just 100 meters from the Black Sea coast. There is a small outdoor pool with mineral water, sun loungers with towels, free WiFi throughout and parking nearby. 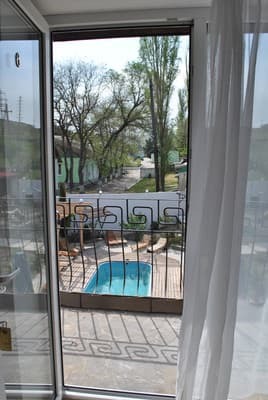 Each cozy room of the hotel «SPA & Residence of Doctor Zakharov» features a unique interior, paintings on the walls and panoramic windows with a picturesque view of the small outdoor pool with mineral SPA water or the Black Sea. The room has air conditioning and a bathroom with a shower with mineral water and free toiletries. At the reception, which is decorated with antique furniture and paintings, you can order refreshments. Distance from the hotel "SPA & Residence of Doctor Zakharov" to the bus stop "Hospital", with which you can reach the railway station of Feodosia, is 150 meters, to the main city beach - 1 km, and to the nearest sandy beach - 1.5 km. Description of the room: Cozy room with twin beds. This bright room features floor-to-ceiling windows. 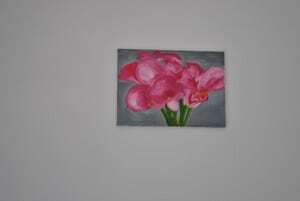 It overlooks a pool with mineral water and a patio with flowering roses. In the room in the spa tap mineral water is suitable for drinking. Panoramic glass from floor to ceiling. Separate access to a shared balcony. Description of the room: This bright room with sea views features floor-to-ceiling windows. It overlooks the 14th century Fortress and the sea coast. In the room in the spa tap mineral water is suitable for drinking. 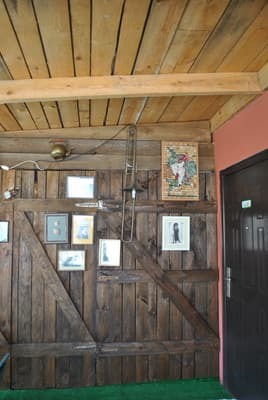 Each room is decorated in an individual style. Separate access to a shared balcony. Description of the room: The room consists of two rooms. One room is equipped with a common balcony and a separate entrance from the side of the pool with mineral water, the second room opens onto a terrace overlooking the sea. Both rooms have floor-to-ceiling windows. In the room in the spa tap mineral water is suitable for drinking. The bathroom is equipped with new plumbing. Children under 5 years of age without an extra seat are free of charge. 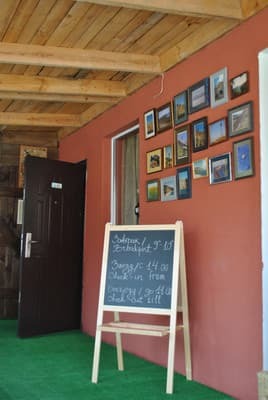 A bus stop "GorBolnitsa" and a shop "Butterbrod" are located 150 meters from the hotel "SPA & Residence of Doctor Zakharov". 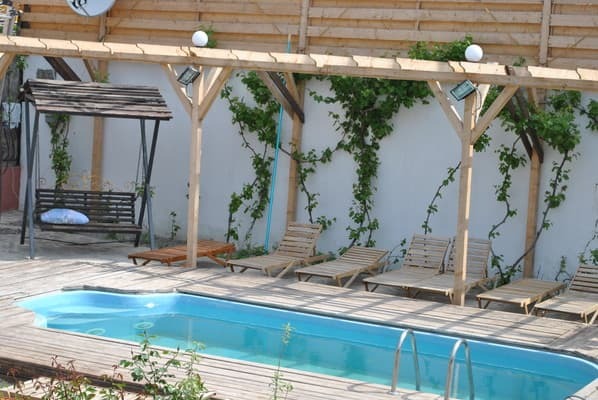 The central city beach is 1 km away, the beach "SPA & Residence of Doctor Zakharov" is 100 meters away. SPA mineral water in a small outdoor pool, in each tap and shower SPA & Residences of Doctor Zakharov. To go from the railway station of Feodosia by bus to the stop "Municipal Hospital". The hotel is 150 meters from the stop.